This article is about the guest star. For the character, see Elvis Costello (character). 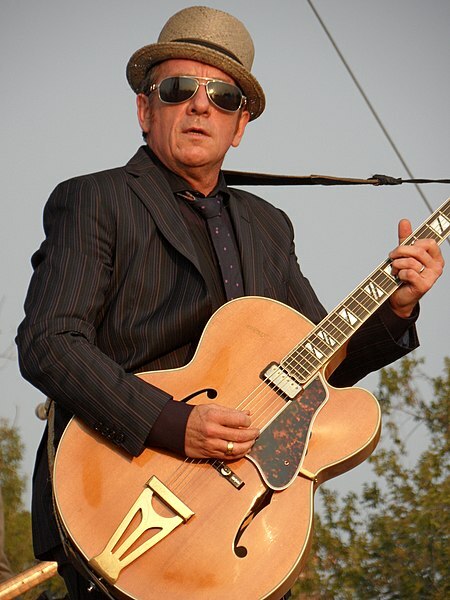 Elvis Costello (born Declan Patrick MacManus; August 25, 1954) is an English actor, producer, and singer-songwriter. He voiced himself in the season 14 episode "How I Spent My Strummer Vacation".